Aratrika Institute of Performing Arts along with Samskritiki present INTERNATIONAL INDIA DANCE FESTIVAL (IIDF MUMBAI 2018) on 2nd, 3rd and 4th MARCH 2018. 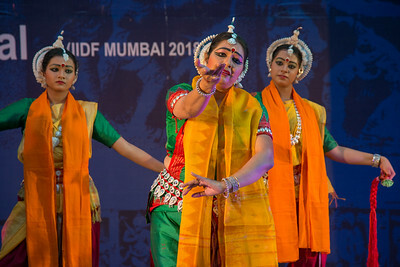 For its first season in Mumbai, there are multiple performances in all classical dance styles plus Folk, Contemporary, Fusion and many more interesting workshops and lecture discussions spread across the three days of the festival. IIDF is a multi-city event hosted by Samskritiki, a 28-year-old cultural society of Odisha across Bhubaneswar-Bengaluru-Hyderabad since 2015. The festival is conceptualized and curated by Shyamhari Chakra, a journalist and dance critic with The Hindu, who is the founder-secretary of Samskritiki cultural society. INTERNATIONAL INDIA DANCE FESTIVAL (IIDF MUMBAI 2018) 3rd March 2018. Organized by Aratrika Institute of Performing Arts and Samskritiki for its first season in Mumbai. 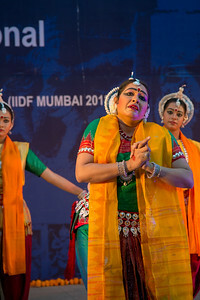 Classical dance styles, folk, contemporary and fusion were performed over three days of the festival (2nd, 3rd and 4th March 2018). Group photo at INTERNATIONAL INDIA DANCE FESTIVAL (IIDF MUMBAI 2018) 3rd March 2018. Organized by Aratrika Institute of Performing Arts and Samskritiki for its first season in Mumbai. 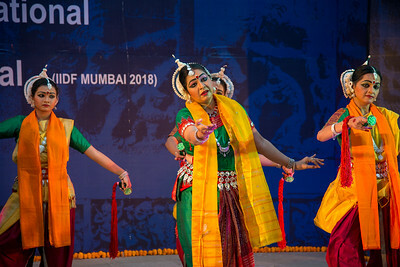 Classical dance styles, folk, contemporary and fusion were performed over three days of the festival (2nd, 3rd and 4th March 2018). 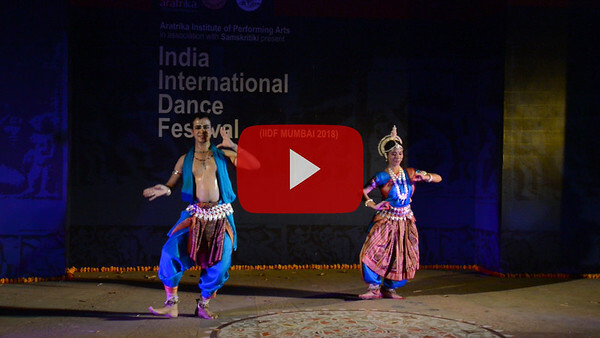 Short video clip of Nrityasamved group, Bharatnatyam INTERNATIONAL INDIA DANCE FESTIVAL (IIDF MUMBAI 2018) 3rd March 2018. Organized by Aratrika Institute of Performing Arts and Samskritiki for its first season in Mumbai. 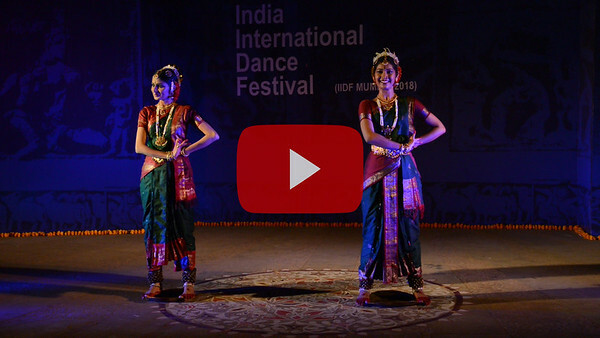 Short video clip of Aritra Das & Abhilasha Panigrahi, Odissi. Pune. 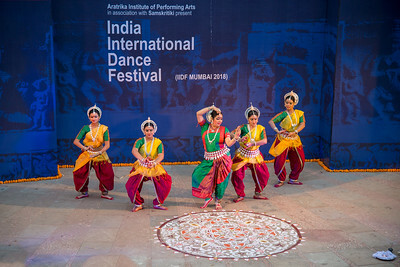 INTERNATIONAL INDIA DANCE FESTIVAL (IIDF MUMBAI 2018) 3rd March 2018. Organized by Aratrika Institute of Performing Arts and Samskritiki for its first season in Mumbai. 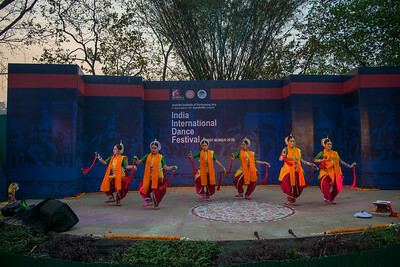 Classical dance styles, folk, contemporary and fusion were performed over three days of the festival (2nd, 3rd and 4th March 2018). Short video clip of Smt Krishnakali Dasgupta, Manipuri. INTERNATIONAL INDIA DANCE FESTIVAL (IIDF MUMBAI 2018) 3rd March 2018. Organized by Aratrika Institute of Performing Arts and Samskritiki for its first season in Mumbai. 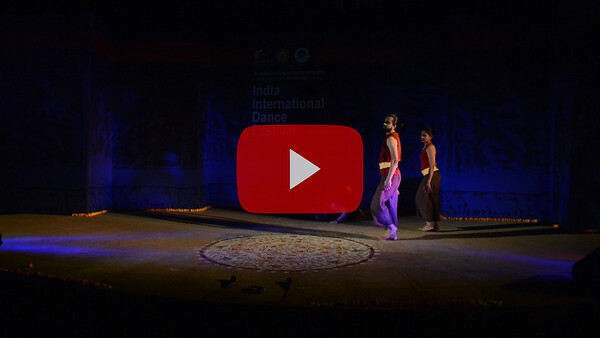 Short video clip of Abhishek Rathod (Contemporary Group). 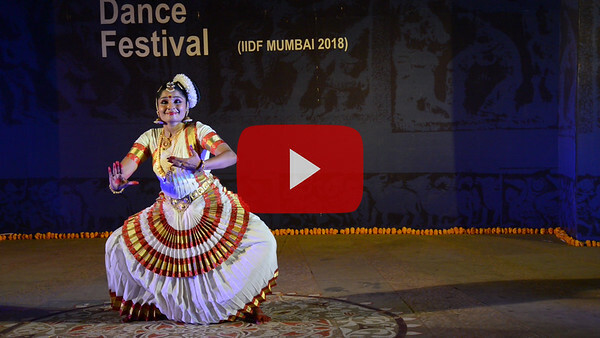 INTERNATIONAL INDIA DANCE FESTIVAL (IIDF MUMBAI 2018) 3rd March 2018. Organized by Aratrika Institute of Performing Arts and Samskritiki for its first season in Mumbai. 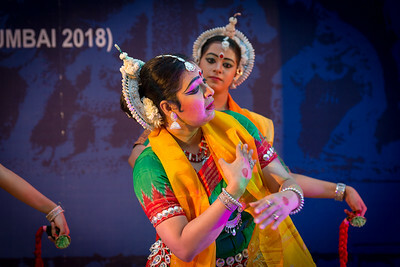 Classical dance styles, folk, contemporary and fusion were performed over three days of the festival (2nd, 3rd and 4th March 2018). Short video clip of Smitalay (Group Folk) of Guru Smt Jhelum Paranjape. 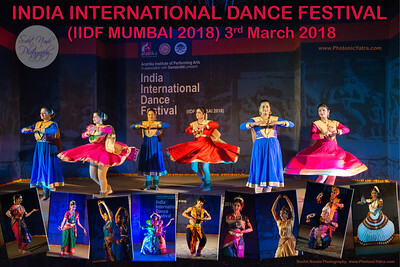 INTERNATIONAL INDIA DANCE FESTIVAL (IIDF MUMBAI 2018) 3rd March 2018. Organized by Aratrika Institute of Performing Arts and Samskritiki for its first season in Mumbai. 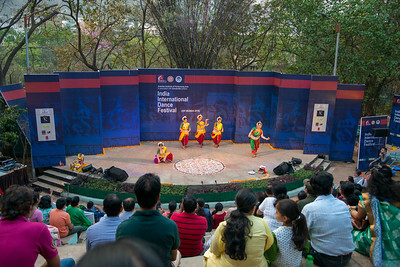 Classical dance styles, folk, contemporary and fusion were performed over three days of the festival (2nd, 3rd and 4th March 2018). Short video clip of Smt Kalamandalam Sreeja Krishnan, Mohiniattam. 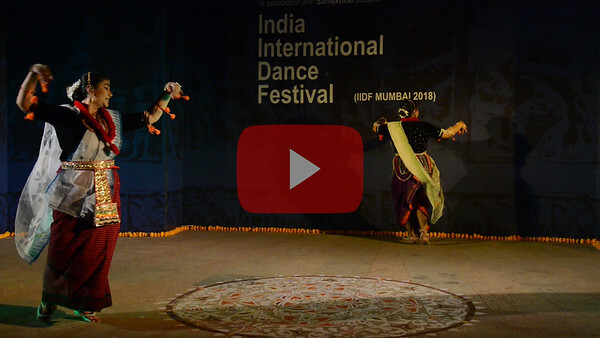 INTERNATIONAL INDIA DANCE FESTIVAL (IIDF MUMBAI 2018) 3rd March 2018. Organized by Aratrika Institute of Performing Arts and Samskritiki for its first season in Mumbai. 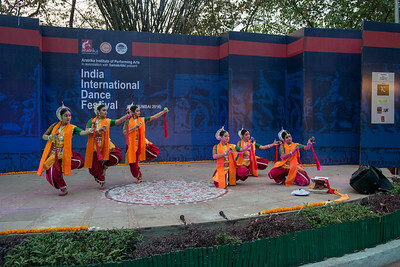 Classical dance styles, folk, contemporary and fusion were performed over three days of the festival (2nd, 3rd and 4th March 2018). Short video clip of Dr Himabindu Kanoj, Muvva Dance Academy. 'Muvva' (meaning 'anklet-bell' in Telugu), Hyderabad. INTERNATIONAL INDIA DANCE FESTIVAL (IIDF MUMBAI 2018) 3rd March 2018. Organized by Aratrika Institute of Performing Arts and Samskritiki for its first season in Mumbai. 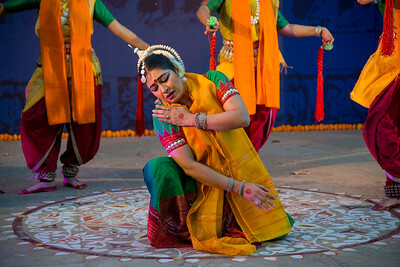 Classical dance styles, folk, contemporary and fusion were performed over three days of the festival (2nd, 3rd and 4th March 2018). Short video clip of Dr. Tina Tambe is a Kathak Performer of Jaipur Gharana Style, Choreographer and a Teacher based in Mumbai, Maharashtra, India. Awarded with Nalanda Nritya Nipun and Singarmani awards, Tina holds Nritya Alankar, M.A. (Kathak) and PhD in Dance. 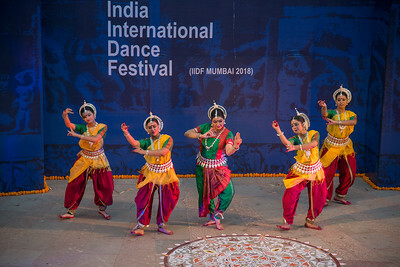 INTERNATIONAL INDIA DANCE FESTIVAL (IIDF MUMBAI 2018) 3rd March 2018. Organized by Aratrika Institute of Performing Arts and Samskritiki for its first season in Mumbai. 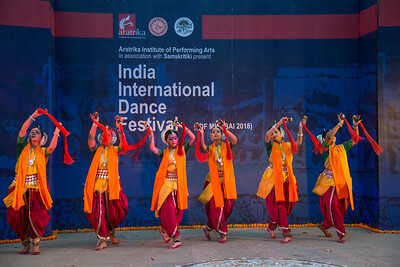 Classical dance styles, folk, contemporary and fusion were performed over three days of the festival (2nd, 3rd and 4th March 2018). 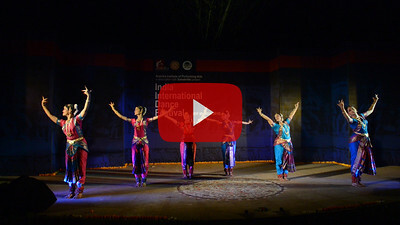 Angik Dance academy Radha - Choreography by Dr. Sarmishtha Chattopadhyay. Various emotions of Radha through songs of Vidyapati’s Vaibhav Padavali, Tagore’s songs, and Kirtan & Baul songs. INTERNATIONAL INDIA DANCE FESTIVAL (IIDF MUMBAI 2018) 3rd March 2018. Organized by Aratrika Institute of Performing Arts and Samskritiki for its first season in Mumbai. 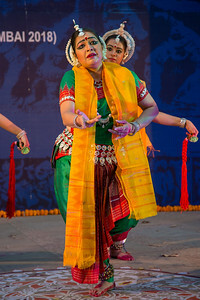 Radha - Choreography by Dr. Sarmishtha Chattopadhyay. Various emotions of Radha through songs of Vidyapati’s Vaibhav Padavali, Tagore’s songs, and Kirtan & Baul songs. INTERNATIONAL INDIA DANCE FESTIVAL (IIDF MUMBAI 2018) 3rd March 2018. Organized by Aratrika Institute of Performing Arts and Samskritiki for its first season in Mumbai.